I’ll admit, this episode was a byproduct of convenience. 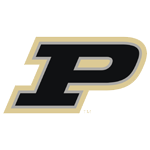 I was living temporarily in West Lafayette at the time and he was readily available. It’s a worthwhile story, though, if nothing else to show the impact of social media on college athletes. Wiggs owns the four longest field goals in Purdue history – 59, 55, 53 and 52 yards – and is the school’s all-time field goal percentage leader (77.7). But he missed one now and then, and heard about it on Twitter. He never quite made it to the NFL, being released after a tryout with Seattle. Field goal kickers live on the edge, and always make for interesting conversation.